What make and model are the V6 Canoes? What make and model are the V1 Canoes? Do the V6 come with self-bailing system? 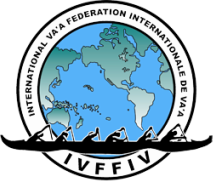 Yes the Fai V6 comes with a self-bailing system. Manual bailers are also compulsory. Do the V1 have a foot plate? Do V1’s have a self-bailing system? Can we have GPS or electronic devices on the canoe? Can we rig our own canoes? Yes, teams will be able to rig their own canoes or adjust the rigging of canoes prior to their race, however teams must notify the event organisers (LOC) through their area co- ordinators at least 24 hours prior to the event they are taking part in. As per race rules: Additional seat pads may be allowed but no adhesives that leave residue may be used. Will the canoes have spray decks/spray skirts? No, the va’a will not have spray decks. Water drop – are teams allowed to pick additional drinking water during the race? There will be a water drop area 15m from the shore. Water and Powerade will be handed out by officials if teams require it. How can drinking systems be mounted attached to the canoe? The V6 has built in drink holders for water. These are the size of a 1.5 Litre drink cooler. What is the distance of the V6? What is the distance of the V1? What is the distance of the Para V6 race? Are PFD’s required for racing? It is not a requirement to wear or have PFD’s on board the Va’a. It is optional and paddlers should bring their own PFD’s if they wish to have them or wear them. Do para va’a teams need to wear PFD’s? No, it is not compulsory for them to wear PFD’s, it is optional and paddlers should bring their own PFD’s and other Para Va’a equipment.